Every person who has faced such a problem as alcohol addiction, knows that it is almost impossible to convince someone close to stop drinking. This dependence is very dangerous to health, which affects the first thing the liver and heart. If the husband is constantly trying to drink without a reason, you should pay special attention to this and try to help your loved one cope with this harmful habit. If a loved one, spouse, becomes an inveterate drunkard on the eyes, but you cared too much and he really care for the whole family – should not close their eyes to this problem. In no case do not separate yourself from him and don't try to hide it from strangers. To solve such a problem as alcohol addiction will help a few factors: the love, the psychological approach, help and understanding doctors. In no case do not drink alcohol with your spouse and do not succumb to his persuasion. We should not blame her husband in the alcohol, maybe he has his own reasons. But they are most often unconscious, they may lie in the behavior of the most beloved and closest people. Before developing a specific plan of action, try to find out the cause of the disease, through which he tries to escape from reality. Most often it is: the frequent quarrels and misunderstanding in the family, hated the work and conflicts with his superiors, fear of the future and the lack of any prospects. Not worth talking to already drunk husband. Wait until he wakes up, and only then try to talk to him heart to heart, without yelling and tantrums. Tell him about your feelings and anxieties about changes in your marital relationship and relationship with children, which is also painful to watch the ever-drunken father. Refrain from councils and reproaches, diagnoses and issues. Only talk about your thoughts calm and even tone. Take your husband's repairs, or some passion that he just didn't have the time or desire to think about alcoholic beverages, much less drink them. By all means try to limit communication of a spouse with friends-alcoholics, then there is not such a vivid desire to drink. 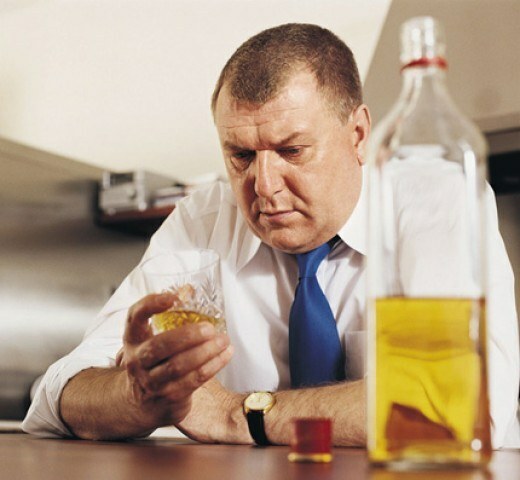 Go with her husband to the best psychologist that has an effective method in the fight against alcoholism. Most likely, it will require prolonged work with a psychologist who will be able to convince him to contact the clinic for further treatment.